We focus not only on the beauty of your smile but your overall health as well. preventive care and education when it comes to optimal dental health. Our goal is providing dental health care rather than disease care, which is why our practice places so much emphasis on thorough oral examinations. We understand that routine cleanings, flossing, sealants, and fluoride are very important factors in preventing dental disease. We focus not only on the beauty of your smile but your overall health as well. Reviewing your medical history helps us stay informed about your medical health and any issues that may be relative to your dental health. Your safety is paramount at Clopper’s Mill Dental Care. We follow standards recommended by the American Dental Association (ADA), the Occupational Safety and Health Administration (OSHA), and the Center for Disease Control (CDC) in order to ensure that your visit to our Germantown office is as germ-free as possible. Your dental health is important to us, and as dental health professionals, we want you to be confident in our training and expertise. In order to maintain the high level of service and results that you demand and deserve, we are continually updating our education in dentistry, dental implants, and oral surgery by participating in dental lectures, meetings, and conventions. 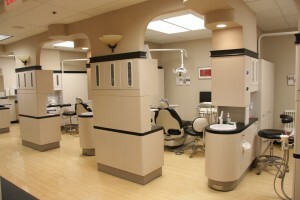 We make sure that we learn about and incorporate new techniques, products, and equipment as soon as they become available so that we can provide the highest level of care for our patients. We want to build a foundation of trust with our patients so that you will have less apprehension about visiting the dentist. 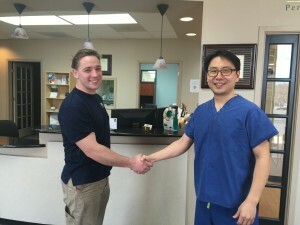 Each of our staff members is dedicated to making sure that you have the excellent personalized care in order to make your visits as comfortable and pleasant as possible.